Craving something savoury and sweet at the same time? 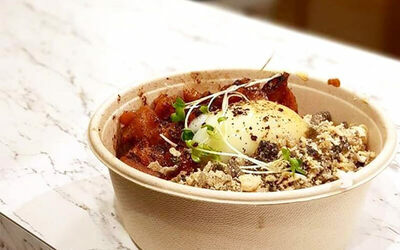 Head over to DOCO with this $15 cash voucher for a hearty meal of donburi and sweet coconut shake. Take your pick of chicken or beef donburi from the concise menu and wash it all down with a cooling fresh coconut shake. $15 cash voucher for a la carte menu. Valid Mon – Fri: 11am - 8pm (last order 7.45pm). Not valid on weekends / public holidays / eve of public holidays.